We love working with all of our young patients and understand that they have different needs when seeing the dentist. We never try to push young children so they end up scared of the dentist’s office. We would like their appointment to be as enjoyable and comfortable as it can be, as well as for them to develop life-long relationships with our dentist’s office. At our office in Medfield, we recommend parents of small children to take them along to the parent’s scheduled dental visit so that the boy or girl can see how things go during the visit, and become acquainted with our staff and office. We also advise that your little one’s first visit be between twenty four months and 36 months of age. At that age we can start to monitor the growth and development of their mouth and teeth. Wisdom tells us that it’s never too early to take care of your child’s teeth – even when they’re toddlers! Prevention and early intervention can help maintain healthy, happy smiles for a lifetime! A lot of parents of young children didn’t have orthodontic work done when they were teens. In fact, if they saw an orthodontist it was because their teeth were embarrassingly crooked and out of line. 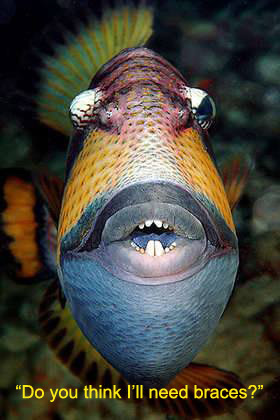 Some families didn’t have enough money for braces. In most cases it was because the child’s teeth looked pretty normal compared to other kids, and their dentist didn’t bring it up unless the parents asked about braces. When today’s parents were young, if your teeth were too crowded dentists simply pulled a few adult teeth. Of course, in hindsight, we discovered that doing so was a disaster in the making. Just within the last ten to fifteen years did we find out about the chronic oral health consequences of misaligned teeth. Orthodontic dentistry isn’t just for making a teenager’s teeth look straight and pretty anymore. Now, they concentrate on much more. Misalignment and malocclusion can bring on chronic headaches and full-blown migraines. A misaligned bite can cause ringing in the ears and vertigo (dizziness). Completely healthy teeth can start to chip and wear away, producing a ragged-edged smile. 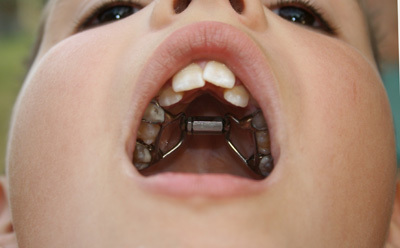 Worst of all, malocclusion usually isn’t something a parent can just “see”. It lurks in the background continuously exerting strain and pressure on the jaw joint, the teeth and the chewing muscles. Our office in Medfield has developed relationships with some excellent orthodontists in the area and we can refer you and your child to an orthodontist if an exam reveals crowded or crooked teeth, or issues with the palate. We can help you choose the best orthodontist that meets the needs and temperament of your child. Scientists in the 1960’s found that fluoride helped build a stronger defense against the teeth’s enemies like bacteria and acids and sweets. And, yes, when fluoride was added to a city’s drinking water, the incidence of cavities dropped sharply. It was even predicted at one time that there would come a time when we wouldn’t need dentists anymore. However, even the scientists of the 60’s couldn’t predict the development of Mountain Dew, Power Aid Energy Drinks and Gummy Worms. There is no way they could have foreseen that the average teenager would now eat their own weight in refined sugar every year. And, finally, even those scientists with a dark pessimistic vision of the 21st century, couldn’t imagine the power that high-fructose corn syrup would wield against fluoride, regular toothpaste and even daily flossing. 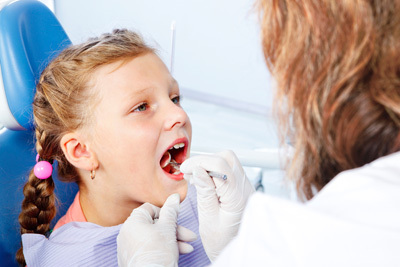 Ideal oral hygiene in your home is extremely important and needs to start at a rather early age. We take the time to teach parents and kids on good flossing and brushing methods for them to enjoy excellent dental health for life.